​If you have worship team rehearsal every week, you are in great company. However, have you ever considered streamlining the rehearsal process so you do not have to have it every week? Our society is busy. Whether this is right or wrong, it is simply a fact that almost everyone on your worship team has an overwhelming schedule. Between work, parenting, housework and everything else that life brings, time has become the most precious commodity we have. We really do need to slow down. And, to lead the way of a simpler schedule, I have practically eliminated mid-week rehearsal for my worship team. Don’t get me wrong, we still rehearse mid-week, just not every week. Let me outline my strategy so you can get an idea of how this works. To preface, you should know that I plan and send out Sunday’s set list the Monday before. This keeps me focused on the week at hand. I do not have to think about next week until I am actually in next week. I am not saying that advanced planning is a bad thing. But, if it stresses you out, I recommend giving the ‘one week at a time’ approach a shot. The only time we have a mid-week rehearsal is when we are introducing a new song, which is once per month (on average). Otherwise, we only have a 1.5 hour pre-service rehearsal. You may be thinking, “So…you do have a weekly rehearsal. It is just on Sunday…”, and you are right. But, if you are like most worship teams, you have pre-service rehearsal on top of your weekly rehearsal. If your pre-service rehearsal is currently short, you may have to extend it a bit to make this work, but if you are eliminating mid-week rehearsal, I know your worship team won’t mind. Eliminating mid-week rehearsal will save your team 2+ hours every week. This is time that can be spent with their family or simply relaxing after a long work day. Who wouldn’t appreciate that? For this to work, worship team members must take responsibility for their own part. Eliminating weekly rehearsal will only work if you have a team who understands they should come prepared. Rehearsals are not a time for musicians to learn their part, but a time for all parts to come together. If your worship team members consistently show up unprepared, you must first take care of this problem before eliminating weekly rehearsals. Who knows, maybe mentioning that weekly rehearsals can be eliminated if they come prepared will serve as a good motivator. The concept is a good one, but in dynamic spirit led environments (like my church), it’s not possible to plan the Sunday set list a week ahead of time. Maybe a song or two will be planned, but more often then not, in our environment, we adjust the set list real time (or even throw it out completely), and are sensitive to what Holy Spirit is doing at that moment. We adjust and flow where the service needs to go. 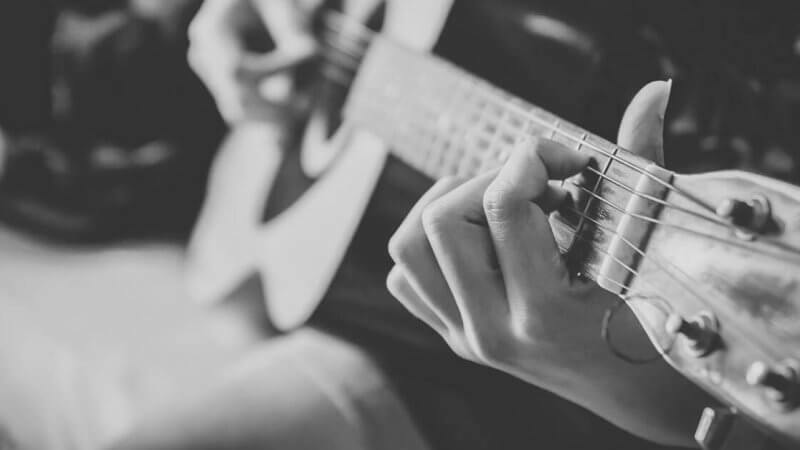 So for us, weekly practice is as much about learning new music as it is going over how to flow in and out of songs…who takes the melody if the song is in a different key, and how to be sensitive to what’s happening. Preparation puts us in he best position for whatever Holy Spirit wants to do in the moment. We prepare, but then we plan for Holy Spirit to lead the worship service where it needs to go. At the church were I serve on the worship team, we only have rehersal on Sunday morning for 1 hour. Everyone does come preprared. However, there are times I feel like 1 hour or and hour and a half is not enough to time to “polish” the set list for that Sunday. Our church is a dynamic spirit led church….however, I do plan two weeks out. They love it. Do we always do the list?No. Many times we flow into something else. We prepare like it all depends on us, then let the Spirit lead during the service. Many times people see before hand preparation as less spiritual. But God is not in time like we are…..he sees all at once…so I think I can hear the Spirit leading me to the songs I should do one or two weeks out. This gives them plenty of time to practice at home. Rehearsal is just that….rehearsing what we have practiced at home. We adjust the song list as the Spirit sees fit during the service. The worship leader before me didn’t plan ahead. And because of that the band and vocals were frustrated because they could not practice the songs and could not get the songs in their spirit before the service. And because of this last minute attitude, the group never felt comfortable flowing freely in the Spirit. Many team members left during his tenure there. But since I have come in with structure as well as flow, we are getting members back and adding new ones. We practice at least twice a month for one hour after Wednesday service. They are out by 9:30. They are already there for Bible study anyway, so they don’t have to come back out during the week. We can’t rehearse on Sunday morning because there is an early service that we are not a part of (traditional service) and it doesn’t end until our time to do sound check for the 2nd service. Good idea for a church that has that free time before their Sunday service though…. If all you’re using your rehearsal for is music prep, then I can see how you might not need a mid-week rehearsal. However, for us, we also use our mid-week rehearsal for “heart” prep too. Our time together takes on elements of a small group atmosphere gathered around our common desire for worship. We fellowship with one another, study scripture together, spend time praying for each other, our church, and our world and we do this before we ever play or sing a note. Perhaps you have alternative ways of doing this sort of thing but in my opinion, gathering together each week for heart prep as well as music prep is a core element to the organic worship creative process. Mid-week rehearsals don’t work for our community. When we started the church, I initially went with what I knew, which was Wednesday evenings, 630-730 vocals and 730-930 for everybody. I quickly learned that this would be a struggle. Many of our people have jobs where they travel during the week. Many have to choose between their kids activities and playing on Sunday. But the main reason is that we are centered around a relational discipleship model. We have 80% of our people meeting in homes throughout the week. It’s hard to claim small groups are the most important thing or that relational discipleship is what Jesus was about, but then telling people they need to skip their small group for a mid-week rehearsal. So now we have a culture where people come prepared on Sunday morning. We meet at 7:45 and practice for an hour or an hour 30, and we’re good to go. When we introduce a new song, I typically draw extra attention to it on planning center, and let people know the direction we’re going with it. It might seem like it would be difficult for us to integrate new people, but I’ve found that new people simply want some sort of reliable structure. So now there are expectations from the beginning that we practice together on Sunday morning after practicing on our own during the week. We have new people come in to the Sunday morning rehearsal a few times to be mentored by that specific instrument/musician. I’m sure there are ways we could improve, but that’s how we roll now. We don’t do midweek because it doesnt work for our community. When we started the church, I initially went with what I knew, which was Wednesday evenings, 630-730 vocals, 730-930 for everybody. I quickly learned that this would be a struggle. I love this strategy. This is the kind of stuff that real leaders are willing to do. Well done! Maybe let’s be careful how we say things. Simply choosing to employ a different strategy doesn’t make one less of a leader. My teams practice midweek. Why? Because it’s what they want. I have given them the option, and they have chosen midweek rehearsal. I lead them in devotion and bible time. I prepare all the materials they need. I lead them in workshops for their individual skills. I come to rehearsal prepared. I feel like I’m leading them. As for whether we prepare or whether we’re Spirit-led, I believe it’s still all about preparation. In fact, I would submit that it’s impossible to be led by the Holy Spirit if we haven’t prepared, both in skill and in heart. Saul called David to soothe him when he was experiencing demons because David was skillful at the lyre. If we’re not prepared in our craft, as David was, we won’t have the skill to follow the Lord’s bidding. And if we’re not prepared in our hearts, God will expose that. Every situation is different. There is no one-size-fits-all approach. I appreciate the article in presenting an alternative method that can certainly work for some teams. But it’s not a lack of leadership to not choose this approach. Quite the opposite, I think. Peace. I really love some of these replies from Spirit-led church leaders! It’s all about striking that balance between being prepared and open to the Spirit’s leading. We currently have a Saturday morning practice and a Sunday morning (pre-service) run-through. Though this is effective, I’d love to move to a single pre-service practice, unless new songs are involved (as Kade described). Great article! we do mid week practice twice a month because a couple of our musicians are new and are still learning some of the songs..we make a list because it helps keep us organized..do we always follow it?? most of the time no..we let the Holy Spirit guide us..the are times where i will sing only one or two of the songs on our list because the Holy Spirit leads the rest..we prepare like it all depends on us, but once the worship starts we let the spirit take over. i think we have to keep in mind that even though every worship team is doind things a little different it doesnt mean they are doing it wrong. Its just that, they are doing it differently. We us our Thursday practices as a time to gather and become a tight team. It’s not just about playing well. We need to grow as a team and in my experience that’s hard to do when you meet only on Sunday. If you want to value you people’s time then make practice one hour midweek and be prepared. I won’t ever go to a Sunday only practice. I think having a mid week practice builds community and gives us opportunity to grow spiritually and musically. It’s our opportunity to make mistakes and laugh about it and grow. Thanks for the comment, Jeremy. You definitely make some great points. If you have a team that is having a hard time becoming a close team, mid-week rehearsal is definitely a good way to help them cultivate relationships. However, in my situation, the team has become a family (and one that is very welcoming of new team members) so the absence of mid-week rehearsal hasn’t caused negative side-effects. Although I don’t believe it is the right solution for every team, eliminating mid-week rehearsal turned out to work great in my situation. Out of curiosity, is anyone doing this paying their musicians? Not here. All of our musicians are volunteer. Our Monday rehearsals are a precious time of work, worship, and small group fellowship. It is a big time commitment – over three hours, usually – but it has been an integral part of my Spiritual growth and well being. That’s awesome. Sounds like you guys should keep pressing forward the way you are doing things. We do have our “mid-week” rehearsals, typically Friday nights or on Saturdays, that last anywhere from 1½ to 2½ hours. Reading all the comments I begin to wonder if having a mid-week GoToMeeting or Hangouts call between the 3-7 band members would help take care of the “heart prep” and agreeing on the details of the worship set and service flow without the need to meet in one place. If all the details are communicated, folks can effectively practice on their own, and a pre-service “dress rehearsal” of 1½ hours might just suffice to play each song together 2 or 3 times. That’s a great idea, Fred. You never know till you give it a shot!